This piece is intended to serve as a postscript to The Groupe Rive Gauche/Left Bank Group by Marcelline Block. Varda was also instrumental for the Cinémathèque Française’s spring 2013 exhibit, “Le monde enchanté de Jacques Demy”/ “The Enchanted World of Jacques Demy”,  a retrospective and tribute to filmmaker Jacques Demy (1931-1990), who was married to Varda from 1962 until his death in 1990. Demy, whose debut film, the early New Wave Lola (1961), was praised by Godard, went on to make musical films including the iconic Les parapluies de Cherbourg/The Umbrellas of Cherbourg (1964) as well as Les demoiselles de Rochefort/The Young Ladies of Rochefort (1967). Demy is frequently associated/affiliated with both the New Wave and the Left Bank group, although his ‘auteur’s sensibility…lacks the…rough edges we associate with the New Wave.’ Demy’s marriage to Varda ‘solidified his affiliations’ with the Left Bank group, although his ‘films lack political conviction, particularly when compared to those of Varda, the Left Bank, and Godard of the late ’60s’ and when he treats societal problems and issues, it is ‘through his romantic, rose-colored lens.’ At the forefront of his cinematic production, through his musicals and fairytales, was his discrete ‘world’ or ‘universe’ (reflected in the titles of both the Cinémathèque’s exhibit as well as Varda’s tribute to her late husband and his oeuvre, the 1995 documentary L’univers de Jacques Demy/The World of Jacques Demy), whose signature narrative and aesthetic preoccupations, themes, concepts, and characters recurred throughout his oeuvre: ‘Demy was the sort of artist who ventured outside the Neverland of his private, idiosyncratic imaginative landscape at his peril. 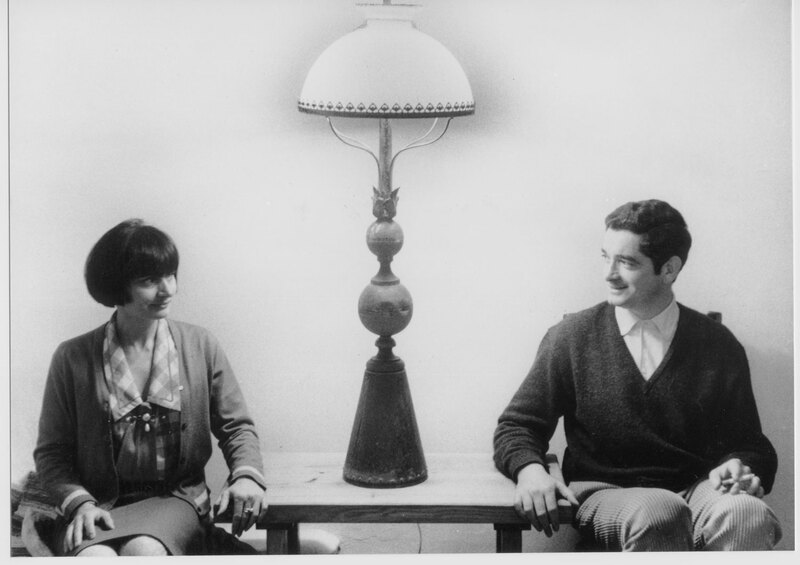 (The critic Gary Carey once described him, perceptively, as “the Joseph Cornell of French cinema”).’ Varda and Demy’s marriage represented a ‘felicitous balancing of nouvelle vague and Left Bank Group sensibilities. Varda was more associated with the latter, which included Alain Resnais, Chris Marker, and Georges Franju, while Demy was frequently bracketed with the former.’ Yet their relationship ‘was a working partnership in the loosest sense. The two never collaborated on a film, with the exception of Jacquot de Nantes…[however] Demy’s career undoubtedly influenced Varda and vice versa, in the casual sense of engendering encounters, dictating places of work, introducing locations and experiences.’ Varda commemorated Demy in the biographical Jacquot de Nantes (1991) and the documentaries Les demoiselles ont eu 25 ans/The Young Ladies Turn 25 (1993), in honor of the 25th anniversary of Demy’s Les demoiselles de Rochefort as well as the above mentioned L’univers de Jacques Demy. Through her production company, Ciné Tamaris, Varda has rereleased restored versions of Demy’s early films including Lola and La Baie des Anges/Bay of Angels (1963) as well as an integral DVD box set of Demy’s oeuvre. Resnais turned 91 on June 3, 2013, and his latest film, Vous n’avez encore rien vu/You Ain’t Seen Nothin’ Yet! (based on Jean Anouilh’s plays Eurydice and Cher Antoine ou l’amour raté), featuring an ensemble cast of distinguished French actors including his wife, Sabine Azéma, as well as Pierre Arditi, Mathieu Amalric, Michel Piccoli, Lambert Wilson, and Denis Podalydès, among others, which was screened at Cannes in 2012 and in the fall of 2012 at the 50th New York Film Festival at Lincoln Center. Resnais’ next film, Aimer, boire, et chanter, is slated for release in 2013. This exhibit traveled to Toronto in summer 2013. 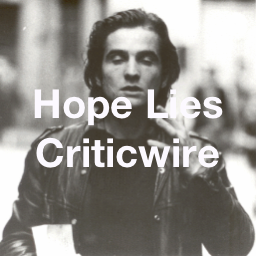 Terrence Rafferty, ‘Jacques Demy: A New Wave Auteur without the Rough Edges’, New York Times, November 11, 2001, http://www.nytimes.com/2001/11/11/movies/11RAFF.html?pagewanted=all. Caroline E. Layde, ‘Jacques Demy’, Senses of Cinema, May 2003, http://sensesofcinema.com/2003/great-directors/demy/.